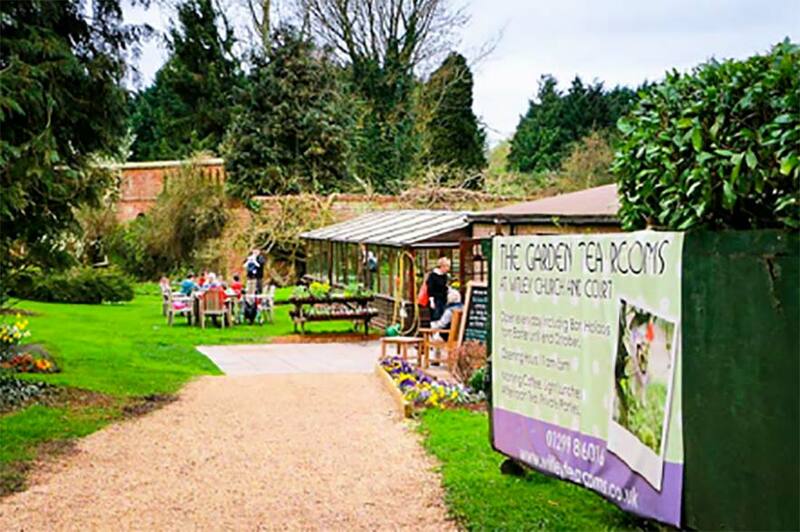 Morning coffee and a toasted teacake, a light lunch made with local produce, afternoon tea with a freshly baked scone or a big slice of cake all in the majestic grounds of Witley Court. We always have a selection of gluten-free, dairy-free and vegan cakes which are made especially for us. The village of Great Witley boasts the spectacular ruin of one of England’s great country houses, a 19th century mansion set in stunning landscaped gardens, now cared for by English Heritage. The Court is next to Britain’s finest baroque church, Witley Church, complete with an extensive crypt with its own fascinating history. Our traditional English tea rooms grew out of a need to raise funds for the upkeep of the church. Now the tea rooms has itself become a visitor attraction. Taking tea in more than an acre of garden, formerly Lady Rachel Dudley’s private topiary garden, visitors can still see where her tennis court lay. On cooler days there are plenty of tables inside the main room or in the conservatory. We also have a range of giftware and cards on sale. Photographs of the plants and garden were all taken at the tea rooms by Gill Wood. Plenty of space in the garden on warm, sunny, dry days. Tables in the conservatory on showery days. Or sit in the main tearoom amid the art, gifts and jewellery on display. In 2019 we are open from 30th March until 3rd November every day including Bank Holidays.